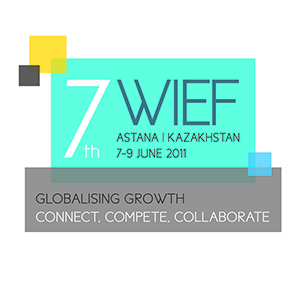 The 7th WIEF 2011 was held for the first time in Central Asia, in one of the most successful countries of the region – Kazakhstan. 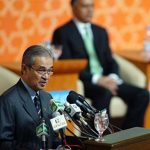 Blessed with vast natural resources such as petroleum and a rich variety of mineral resources, in particular uranium, of which the country is the world’s number one exporter, Kazakhstan is on its path to a positive economic growth trajectory. But where many countries fail, Kazakhstan prevails in its effort in trying to reduce its heavy dependence on the extractive industries. Equipped with a strategic national economic plan towards 2020, Kazakhstan is trying to phase out its dependence on these heavy duty industries in the long-run by efficiently utilising the proceeds from the extractive industries to develop its manufacturing sector among others. Unlike many countries which rely heavily on foreign labour and expertise, Kazakhstan makes a conscious effort to look inwards and develop local talents and competent manpower to spur the economy. 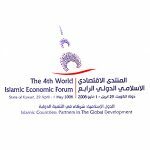 This was why Kazakhstan rightly deserved its no.1 world ranking as the most improved economy of the year from the World Bank’s ‘Doing Business 2011’ Report. Kazakhstan has another strategic advantage namely its economic partnership with big economic powers such as Russia. Ratified in early 2010, the customs union between Kazakhstan, Russia and Belarus will provide a gateway to a combined market of 170 million people with a combined GDP of nearly USD2 trillion. Despite being a landlocked country, Kazakhstan is very much connected to the international community through land and air. Of particular significance is the International Transport Corridor (ITC) North-South Route which officially began construction in 2000, linking together important economies such as Russia, Kazakhstan, Iran and India by road thus greatly facilitating cargo transportation across borders. 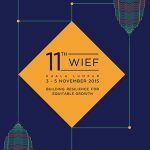 Financing Alternative for Women Entrepreneurs: Is Venture Capital A Solution? 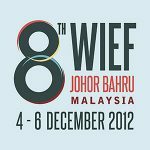 Founder and CEO, Middle East & Asia Capital Partners (MEACP) and CEO of Maybank MEACP Pte Ltd. 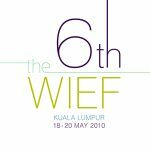 The 7th World Islamic Economic Forum (WIEF) was held in Astana, Republic of Kazakhstan from 7-9 June 2011, amidst challenging global conditions. 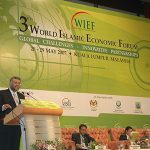 Highlighting the theme “Globalising Growth: Connect, Compete, Collaborate”, the Forum focused on building a consensus on practical and innovative approaches to address socio- economic issues impacting the Muslim world. The Forum, which was opened by H.E. 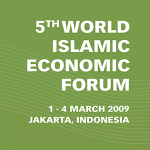 Nursultan Nazarbayev, the President of the Republic of Kazakhstan, also saw the attendance of His Excellencies President Ismail Omar Guelleh of Djibouti, Prime Minister Karim Masimov of Kazakhstan, Prime Minister Dato’ Sri Najib Tun Abdul Razak of Malaysia, Prime Minister Oqil Oqilov of Tajikistan, Vice President Prof. Dr. Boediono of Indonesia, Deputy Prime Minister Dr. Ros Nuri Shawels of Iraq and First Vice Prime Minister Omurbek Babanov of Kyrgyzstan, former Leaders, the President of the Islamic Development Bank, Ministers, Chief Executives of leading corporations, thought leaders from the private and public sectors as well as representatives of the creative arts. 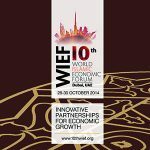 The Forum attracted more than 2,500 delegates from 42 countries and saw constructive discussions on developing leadership, supporting entrepreneurship and SME’s, empowering businesswomen, globalising Islamic Banking and Finance, enhancing food and energy security, tapping into halal industry, investing in infrastructure development, harvesting alternative energy and innovating SMEs. 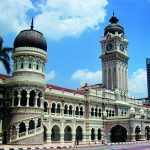 Emphasise innovation, competition, collaboration and knowledge transfer as key thrusts to develop successful SMEs and entrepreneurs. 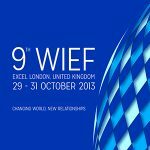 The Forum welcomed the offers from the President of Kazakhstan to assess the potential for a Science and Technology Innovation Hub and from the President of the Islamic Development Bank (IDB) to work with WIEF and member countries to both identify additional specific projects and to prepare an annual report to the Forum on their progress. 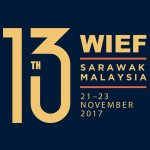 Agreements covering banking and financial services, ICT, food,industry, education and training sectors were signed during the Forum. 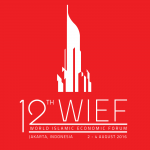 Ten countries showcased trade and investment opportunities. 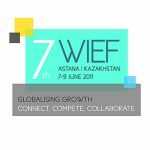 The Forum recorded its appreciation to His Excellency the President and the Government of Kazakhstan for hosting the 7th WIEF in Astana, Kazakhstan and for the warm hospitality accorded to all participants.